The file /etc/fstab contains necessary information for automatic mountingof partitions. Usually, after this file editing, you reboot the Linux system for the changes to take effect. 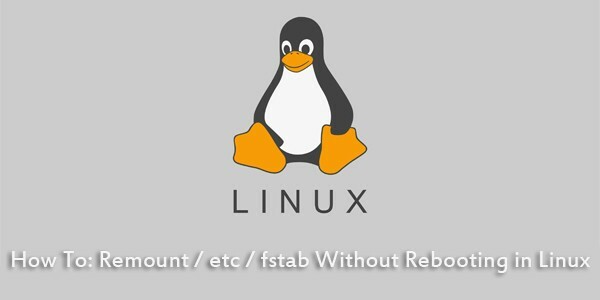 There is an easy way to remount all partitions from /etc/fstab without rebooting the system. This simple command remounts all file systems which specified in /etc/fstab, with the exception of partitions with the noauto option.